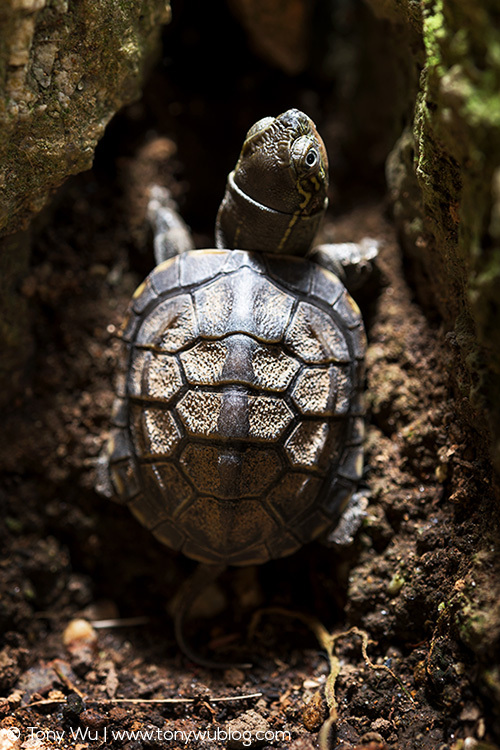 Five weeks ago, I found a tiny little pond turtle (Mauremys reevesii) while I was working out (previous posts: Adopting Oogway, Oogway's Outing, Oogway's Progress). The "mountain" is actually more of a lump of dirt and rocks, but you know, he's 3.2cm and horizontally inclined. The first time he tried to conquer this summit, he made it partially up and then fell backward. That doesn't happen anymore though. He's determined and fully 4WD powered! The biggest shocker for me though, is how fast he is. Turns out, turtles can run. Really run.